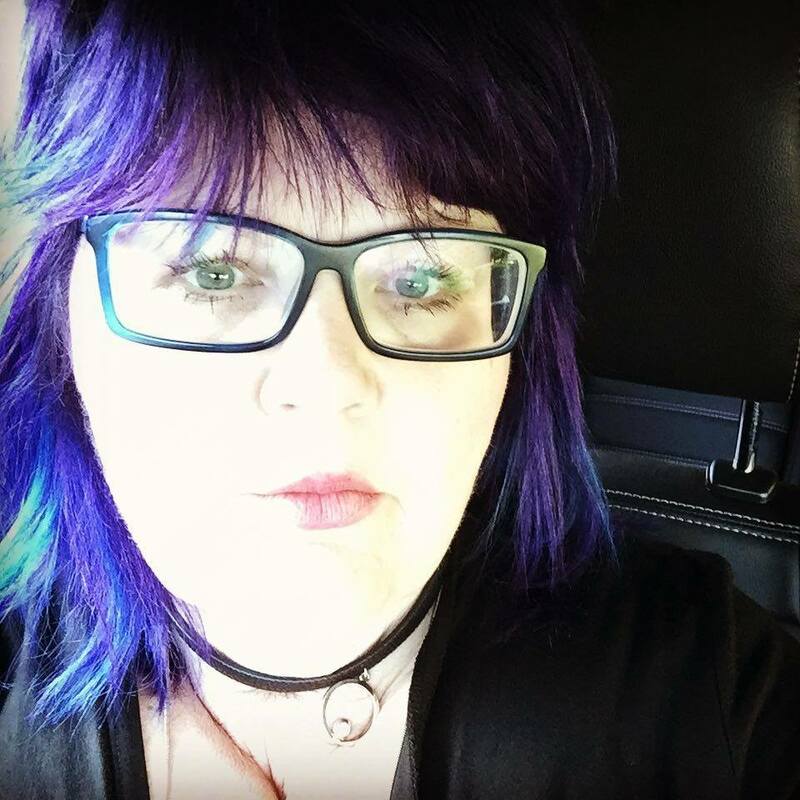 Welcome to the Emerald Creek and Stencil Girl Blog Hop! I feel incredibly blessed to have been asked to participate in this hop with such a group of intensely talented artists! For my piece today, I combined several stencil girl stencils, along with Emerald Creek's Baked Textures and embossing powders to create this fun Journal Cover. I started with a 8x8 piece of corrugated cardboard and collaged some scrap designer papers on with gel medium, sealing it all in with a coat of white gesso. Next, Using some texture paste and the Bare branch Thicket and Mermaid Stencils and Masks I added more texture. I added some more Dolphin Cove Spray to the upper bordre and some Worn Saddle over the sandy area. To add even more dimension, I sprinkled Dirty Sand Baked Texture over that area. Next I took the Mermaid from the Mermaid Stencils and Masks and Sprayed over with Mixed Metal Shimmering Bliss. Sooooo pretty!!!!!!! After all that was done, I started to embellish with Die Cuts, adding even more dimension to them with Patina Oxide on the ships window, Ancient Amber on the Sea Salad! and Chunky Rust on the ships wheel. I had this great idea to make the Broken window, but wasn't sure if it would work. You should have heard the squeals of delight here when it did. Sooooooo, how did I do it? I cut a small circle in Acetate (yep, that's why I was almost certain it wouldn't work. I figured I'd melt it down or set the house on fire! But it did!!!! So, as I was saying, I cut the circle from acetate and then cut it in half leaving a jagged edge. I took a smidgen of tape runner and taped the acetate down to a piece of cardstock. I inked up the acetate piece with versamark and sprinkled Vanilla Sugar Embossing Powder on it . Oh my gosh. It smelled good enough to eat!!!! I just took my time and heated it from underneath. It eventually all melted without melting the acetate! SCORE!!!!!!!! After it dried I took a piece of sanding blog and roughed it up a bit!!!! Thanks for stopping by and having a peek at this piece I designed for you!!!! 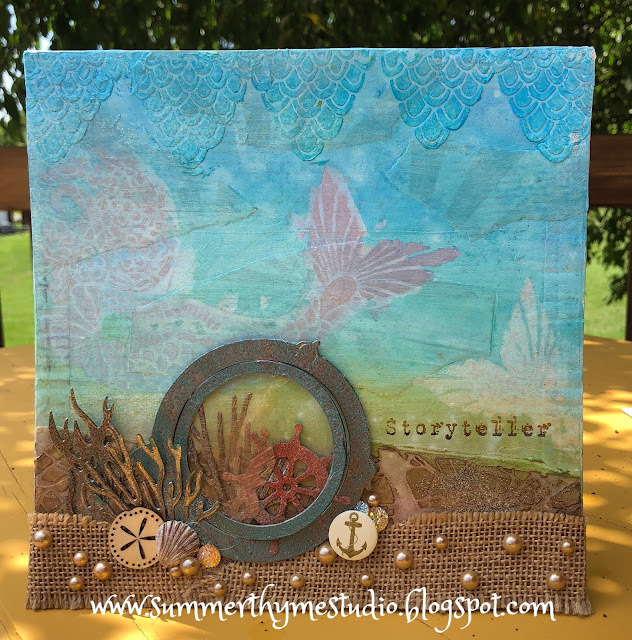 I LOVED working with the wonderful Emerald Creek and Stencil Girl Products!!! I love that broken window, very nice idea. What fun that your experiment making the window turned out so well! Charming undersea piece. Thanks for sharing! That broken glass is awesome!!! I'm totally stealing that idea! I LOVE this! The colors are so bright and pretty, and I love the look of the porthole! This is gorgeous! Ooo, Vicki, I don't know what was more fun...looking at your beautiful creation or reading about how it was created! Love your piece, love your process! Love the ocean and the beach! Your art piece is great using SG stencils and EC powders. 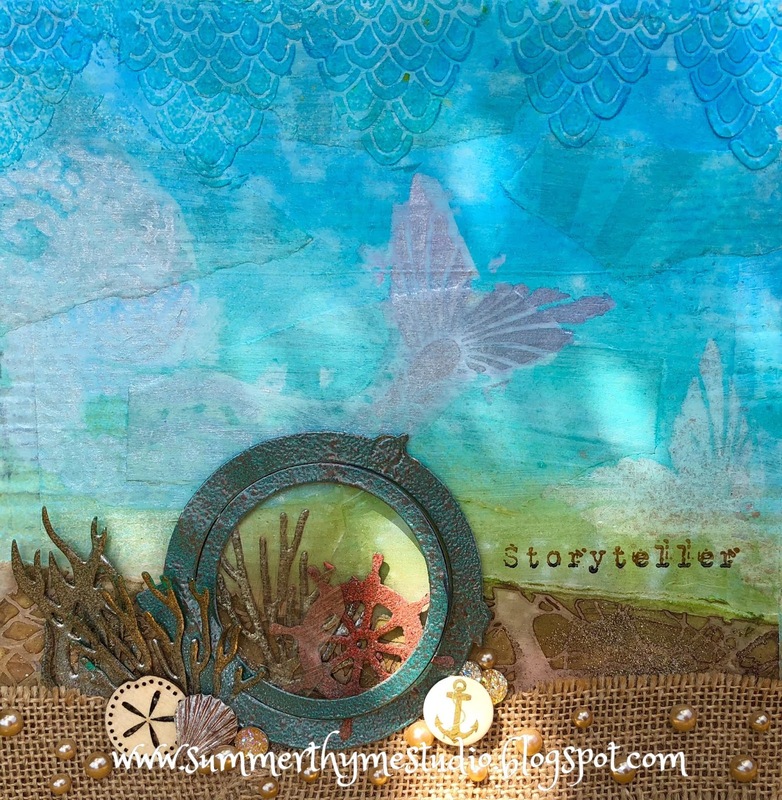 Great piece...truly makes me wish I was at the ocean! I love how you achieved such a great underwater scene! this is simply beautiful. I am awed by your "broken widow" and how amazing it turned out! Love the background for this incredible creation. Thanks for sharing! Wow!!! Awesome project!!! Amazing technique!!! One of my favorites from the hop! Genius on making the broken window, gorgeous color choices, and the word stamp is juuuust right. Did I mention the undersea greenery is beautiful too? love the under the sea theme! What an awesome journal cover. Perfect for an art journal or just a daily journal. Love it! Love the color and textrure! Underwater scene are my favorite and I love yours ! So beautiful ! Vicki, this was amazing! Your layering of paste, ink and embossing powder was brilliant. The colour pallet gave a wonderful summer by the sea feeling. Thank you for blog hopping with us! Great journal cover and very cool about the acetate! Aw, I love this, the window is so cute! The broken glass effect looks amazing! Great job! Oh. My. Goodness! There is so much to love here, where do I start?!! 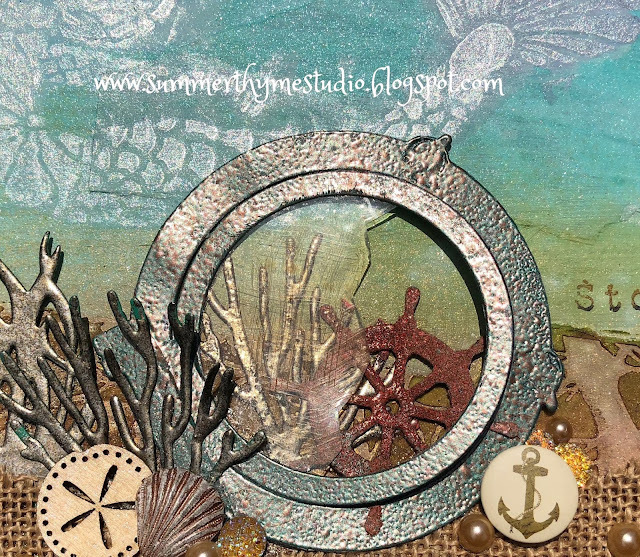 From the fabulous shimmering mermaid and mermaid border at the top to the burlap sand and that A-MA-ZING broken glass... I love it all! 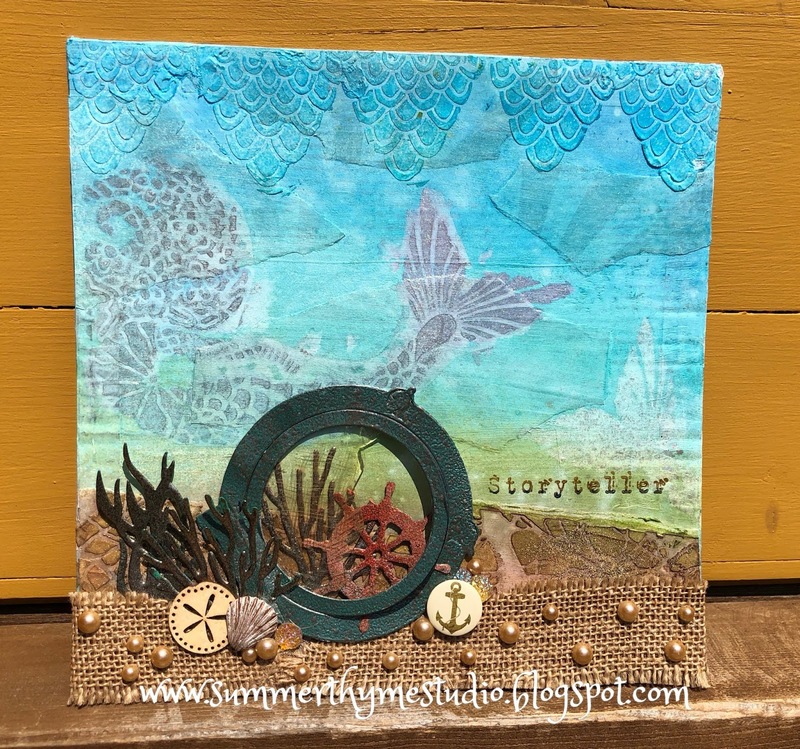 Thanks for the fab inspiration... Now I have that mermaid stencil and the Vanilla Sugar embossing powder on my wishlist as must-haves! The blues are gorgeous in this and I totally agree the powders are to die for. Very pretty! I like the variety of embellishments you used. Very fun. Love this project! All the little details are fabulous! I can’t get over how different all the pieces are and all are extraordinary. Thanks for sharing. You are truly talented! So many random little pieces that combine seamlessly to form a perfect scene. I mean come on, who thinks to use burlap for sand? Sensational. And that scene at the bottom of the ocean is genius.